Very nice people at the reception. Cool architecture. Quiet place not far from the sea. A lot of space inside and in the garden. Good starting point for day trips. The property is quite basic but has everything you need for simple cookery and has an outdoor BBQ, you need to find a shop to sell coals etc which could be tricky without a car. 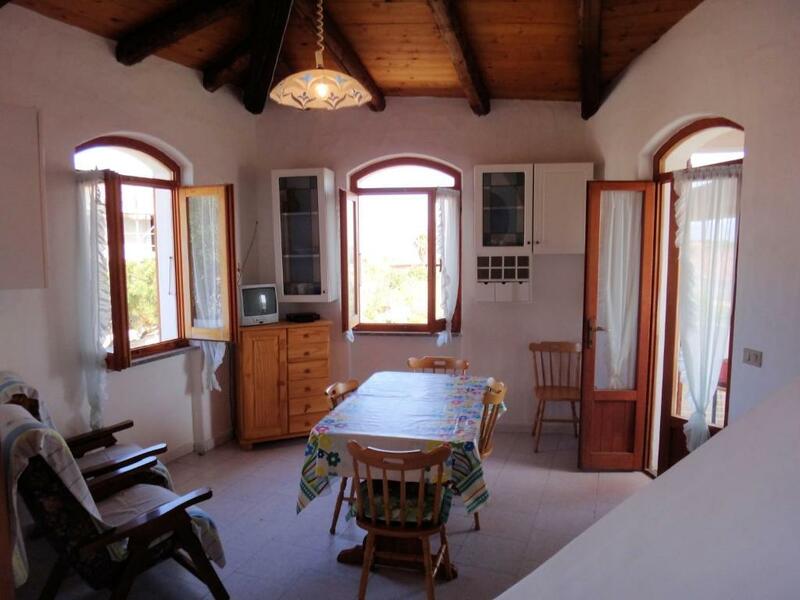 The view from balcony is to die for with stunning panoramics over the sea and surrounding villages. Local restaurants are few but good. The beach is steps away and is clean and lovely. 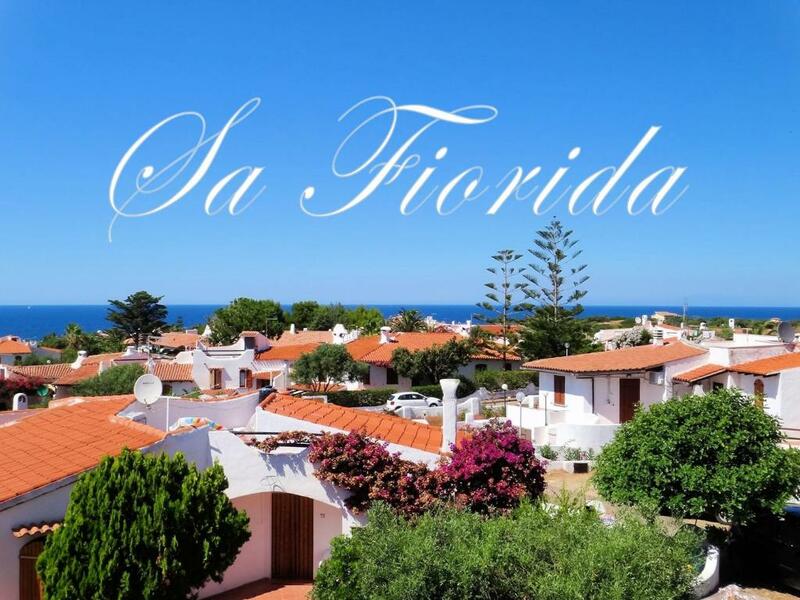 I have stayed at Sa Fiorida 4 times now and will be back again, so that says it all! The owners of this family business and friendly and helpful. Thank you Lendle family! Alloggio ben arredato, riscaldato e confortevole. Struttura aperta tutto l'anno. Staff cortese, disponibile e preparato. Alles war prima. Man fühlte sich sofort wohl. Das Personal war sehr hilfsbereits u. freundlich. Zusätzliche Wünsche wurden unmittelbar erfüllt. L architettura della casa, in un contesto incantevole. Situación excelente para moverse y ver todo el norte. Trato del personal estupendo. Lugar tranquilo, donde todavía se escuchan los grillos y se saborea paz. Y quien quiera movimiento, lo tiene a un paso. Liegt in einem entspannten, kleinen, unprätentiösen Badeort mit wunderbaren Strandbars. Weder touristisch überlaufen noch total tot. Die Rezeptionsmitarbeiter sind freundlich und geben gute Tips. Unser kleines Appartement hatte eine Dachterasse mit tollem Ausblick. Sardinien insgesamt hat positiv überrascht! Čistota, velikost domu, klidné místo, blízko pláže. Der Empfang ist herzlich und die Vermieter bieten eine profunde und umfangreiche Beratung zu den möglichen Aktivitäten vor Ort. Die schon älteren Häuser sind zweckmäßig und für einen längeren Urlaub ausreichend mit allem ausgestattet. Der kleine Ort ist in der Nebensaison für Ruhesuchende ideal. 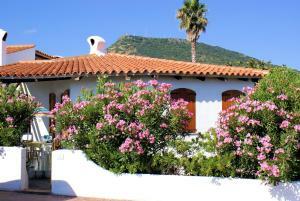 Lock in a great price for Sa Fiorida case vacanze – rated 8.3 by recent guests! One of our top picks in Valledoria.Located in Valledoria, Sa Fiorida case vacanze provides accommodations with free WiFi and barbecue facilities. Some units include a terrace and/or a patio with sea views. If you would like to discover the area, cycling, fishing and hiking are possible nearby, and a bicycle rental service can be arranged. Sassari is 25 miles from Sa Fiorida case vacanze. 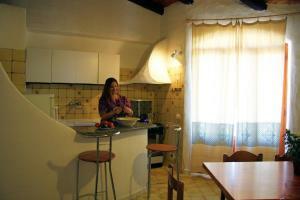 The nearest airport is Fertilia Airport, 43 miles from the property. 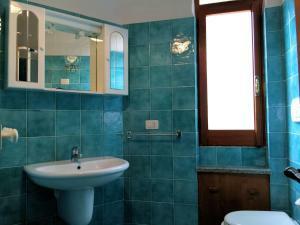 When would you like to stay at Sa Fiorida case vacanze? This holiday home has a seating area, private entrance and barbecue. This holiday home has a seating area, kitchen and private entrance. This holiday home features a kitchenware, kitchenette and satellite TV. This holiday home features a washing machine, satellite TV and tile/marble floor. 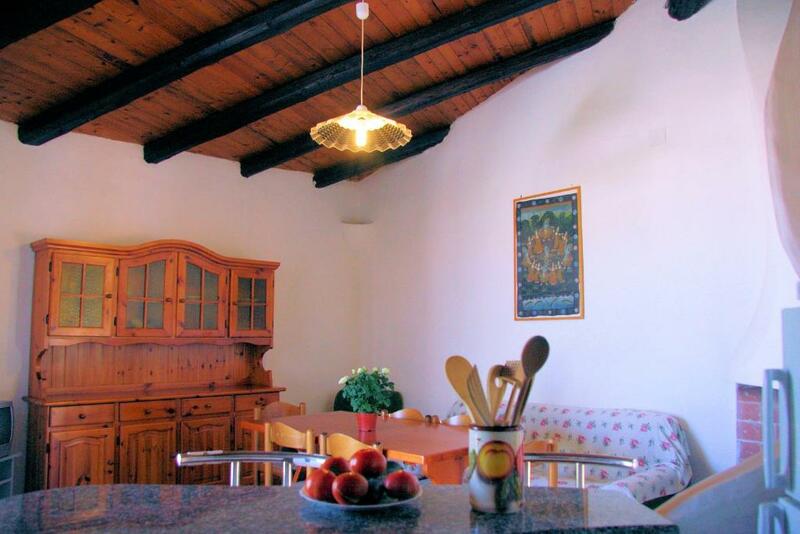 Each holiday house was individually designed, comfortably furnished and offers a terrace with a fireplace or barbecue and garden. Almost all houses also have a roof terrace including a sea view. The distance from the holiday houses to the local sandy beach is only 200-400 m. The houses are fully equipped, ie the accommodations are fully furnished and also have all the necessary utensils for cooking and eating. Furthermore, all holiday houses offer an iron and nearly all satellite TV and washing machine). In case something missing or getting broken our family will endeavour to supply a substitute (the accommodations also offer an iron). The holiday ground offers possibilities for enjoying volleyball, soccer and boccia. Children will find ample space for playing also outside the gardens. A real reason to visit Sardinia. The very beautiful holiday houses, built in Mediterranean style, are located in the locality La Ciaccia (Valledoria) in the center of the north-western coast of Sardinia. The holiday houses - calmly situated - are embedded into a wonderful landscape. In only 200-400 mts one will find one of the largest sandy beaches of Sardinia. Close to our place you will find Castelsardo, an amazing small town (founded in the 12th century) which offers its guests a jump into the Sardinian history. 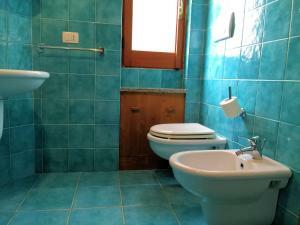 House Rules Sa Fiorida case vacanze takes special requests – add in the next step! Sa Fiorida case vacanze accepts these cards and reserves the right to temporarily hold an amount prior to arrival. Please inform Sa Fiorida case vacanze of your expected arrival time in advance. You can use the Special Requests box when booking, or contact the property directly using the contact details in your confirmation. Please note that check-in and key collection take place at: SA FIORIDA - Via Colombo 45, Valledoria 07039. Not a double bed, but two singles put together. Sheet was too small for two beds combined. There was really nothing not to like. 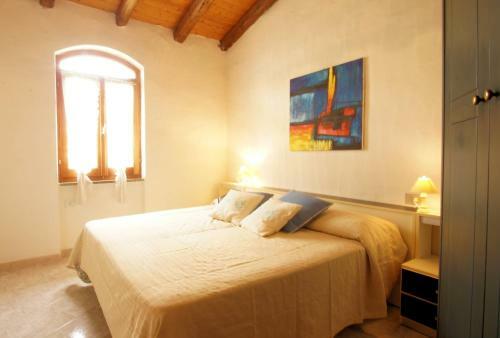 Just be clued up though, towels and bed linen costs extra, there is no WiFi but you can rent a modem for €5 per day. The TV has no English channels so don’t expect telly time, this didn’t bother us but might be an expectation for some? All in all beautiful but basic, so great if you are happy with no frills. Would be a good idea for the office to perhaps have some BBQ coals available for sale?